Custom Miva Merchant Modules | Los Angeles San Fernando Valley | Webwest Internet Solutions Inc. Custom Miva Merchant Modules are a very affordable way to add additional features and functionality not currently included in Miva Merchant. Typically the cost of a custom 3rd party plug-in module is a fraction of the development cost from a programmer. 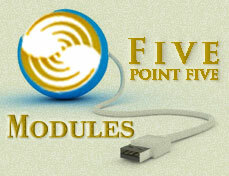 Normally, you can purchase a custom module, download, activate and start using it within minutes! When Miva Merchant releases a new version, developers create an updated module to allow their customers to upgrade and retain the same features, usually for free. Eventually, many popular custom Miva Merchant module features are incorporated into Miva Merchant itself. We're a MivaCentral partner and have listed some of the most requested Miva Merchant Modules below, available at MivaCentral. Each link below opens in a new window and multiple modules can be purchased in the same session while closing the new window(s). Simply click "checkout" on the last screen after you have added all the modules to your basket at MivaCentral. All listed below work with Miva Merchant 5.5. There are many more custom Miva Merchant modules available at MivaCentral. If you need Custom Miva Merchant functionality that is not currently available as a module, let us know about it!